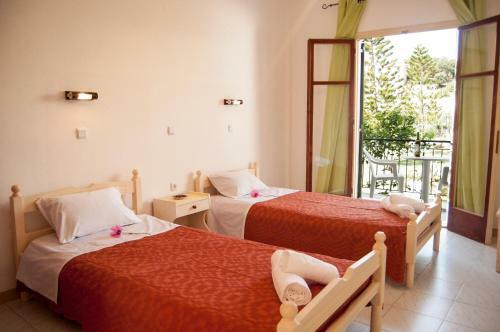 The host was very friendly and helpful, the rooms were cleaned every day. Good location, close too the beach, but not in the noisy area. Nice garden view, free parking. It was a real pleasure to live in Maria’s apartment. I met Cristina who is friendly and smiling person. 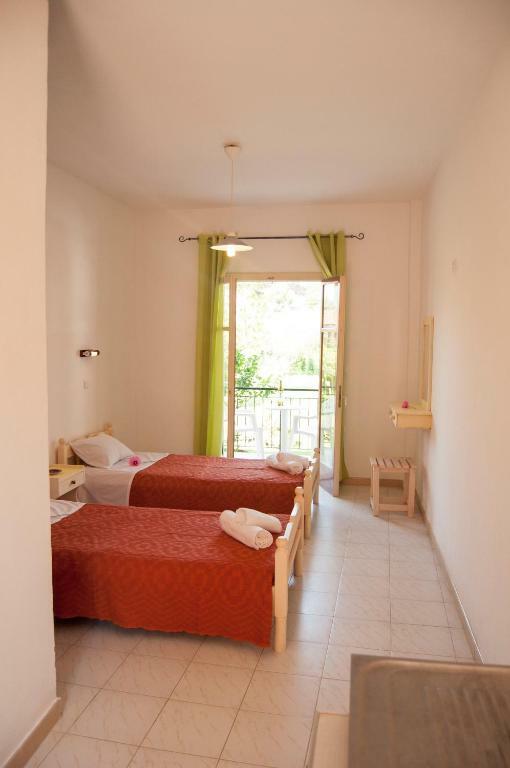 The room was always cleared and localization is awesome, just a few steps from the city center! I recommend Maria’s apartments on 100%! The owner cleaned the room every day. She is a very nice person. They have a beautiful garden. Clean,nice gardens ,staff ,location .firm bed and price . The setting of the room was very Greek authentic, I loved the blue wooden furniture and its simplicity! 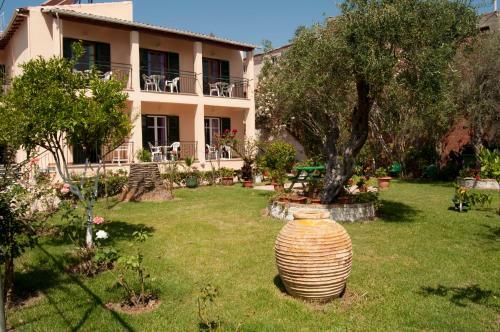 I also liked that the villa had a big and beautiful garden and it was isolated from the great noise of Kavos, although placed quite centrally. Die Vermieterin Christina war wirklich unglaublich nett, konnte bei Fragen immer angerufen werden. Dafür, dass das Appartment in einer schrecklichen Partymeile lag, war es doch noch verhältnismäßig ruhig. Molto carina la stanza con il balconcino affacciato sul giardino. Cucina piccola ma funzionale. Armadi capienti. Pulizia tutti i giorni da parte della proprietaria. Die Anlage ist ein kleines Paradies, allerdings inmitten der Party-Hölle von Kavos (trotzdem ruhiger und etwas abseits gelegen). Der Garten ist wunderschön, die Zimmer sind sehr sauber und die Gastgeberin Athanasia ist einfach toll: Freundlich, zuvorkommend, flexibel! Das Preis-Leistungs-Verhältnis stimmt. Die Gastgeberin hat die Zimmer jeden Tag sauber gemacht. Also wirklich top! Jednoduché pokoje, na přespání akorát. Pokoje byly denně uklizené, každý druhý den vyměněné ručníky. To jsme byli mile překvapení. Nedaleké pláže jsou prakticky bez lidí. Christiane byla milá a snaživá hostitelka. Lock in a great price for Maria's Apartments – rated 8.4 by recent guests! 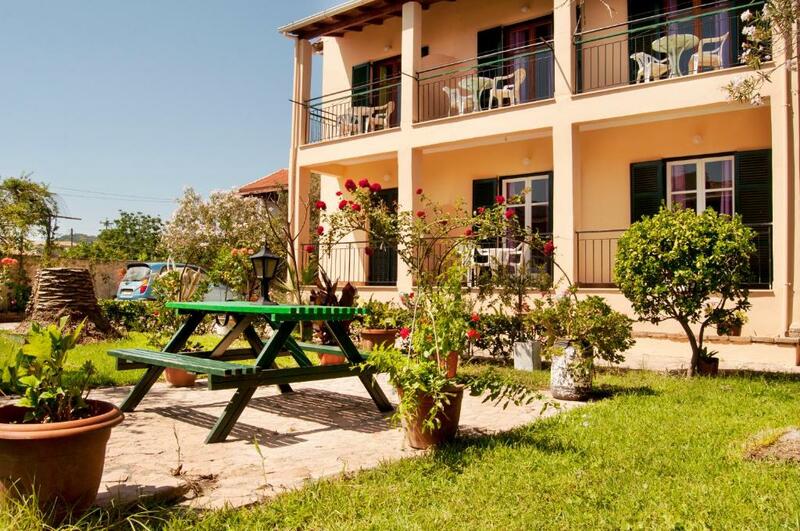 Set in a tranquil area in Kávos in the Corfu Region, just 350 feet from the organized Kavos Beach, Maria's Apartments feature a sun terrace and views of the garden. Free WiFi is provided. Surrounded by trees, each unit at Maria's apartments opens to a balcony with garden views. Each includes a well-equipped kitchen. The private bathroom in every room type is stocked with a shower. Free private parking is also available on site. Bike hire is available at the property and the area is popular for diving. A bus stop is at just 656 feet, while the cosmopolitan Corfu Town and its airport lie within 28 mi of the property. When would you like to stay at Maria's Apartments? This studio has a balcony, tile/marble floor and patio. This apartment features a balcony, tile/marble floor and barbecue. House Rules Maria's Apartments takes special requests – add in the next step! Maria&#39;s Apartments accepts these cards and reserves the right to temporarily hold an amount prior to arrival. Maria's Apartments accepts these cards and reserves the right to temporarily hold an amount prior to arrival. My room was cleaned every day and Christina was most helpful while I was here. No air conditioning which is necessary to keep mosquitoes away ,no wall hook for shower head ,5 euro electricity charge is only justified if you have aircon. Staff left me with only one towel after the first night and also took away the sheet of the extra bed! I did not understand the rationale behind this and could not find anyone to talk to about this. However, I think the hosts were very nice and friendly people, it was just a little difficult to communicate as they do not speak English very well. Big yard, green grass, flowers! Owner didn't speak english and probably doesn't know how to use the booking.com messaging system.